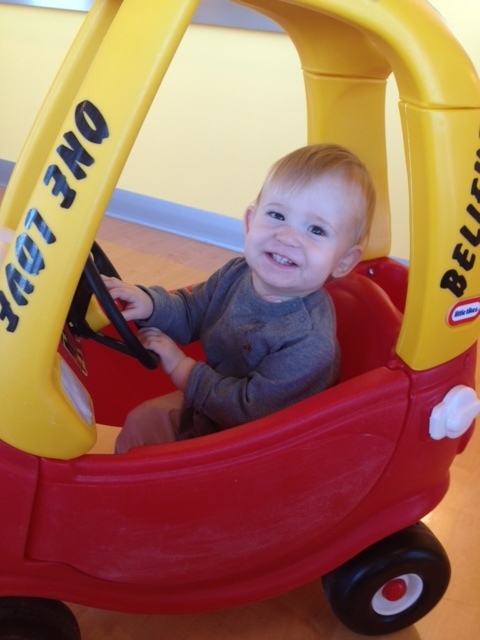 We took Mac to the emergency room at Children’s – St. Joseph’s late Monday night (9/29/14). He was crying and fussing (totally unlike Mac) with what appeared to be pain in his stomach. Doctors initally thought he had a telescoped intestine but needed an ultrasound to confirm that diagnosis, so they immediately sent us to the main campus of Children’s Hospital. Mac had an ultrasound and his intestines looked fine… however, they found a mass in his bladder. Mac was then formally admitted to Children’s Hospital. On Tuesday, we met with a team of pediatric urologists who determined that Mac needed an MRI and a biopsy of the tumor. Wednesday, 10/1, Mac was anesthetized and taken for an MRI and biopsy of the tumor. The inital pathology determined that Mac has a malignant tumor surrounding his prostate that also pushing into his bladder, making it difficult for him to urinate. Knowing the tumor was cancer, we elected for the doctors to test his bone marrow and also insert a port near his collar bone where medicine can be easily administered. Thursday and Friday morning were spent doing more diagnostic type tests (PET scan, CT scan) while Mac was anesthetized, and waiting on final pathology reports. Our family met with Mac’s team of doctors on Friday and Mac was diagnosed with Embryonal Childhood Rhabdomyosarcoma. Rhabdomyosarcoma is a cancer that forms in the soft tissues of striated muscles and appears in pediatric patients. The great news is they do not think the cancer has spread, and this type of cancer is curable. Mac is still at Children’s Hospital. We have been on the oncology floor since Friday. As usual, he has all of his “peeps” dotting on him around the clock. He is also charming all of the nurses with his infectious smile. Today, Sunday, Mac began chemotherapy. We are hopeful that we will be able to return home some time this week and continue chemo on an out-patient basis. We never thought in a million years that we would be in this situation, but here we are. We are scared and overwhelmed right now, but know that we have to be strong for our little man. Mac is an incredible boy. He will get through this. We have an amazing team of doctors who have been wonderful — they are optimistic that Mac will beat this cancer. We are deeply touched by the outpouring of love and support that we have received. It is still the early stage of what is sure to be a marathon for Mac and for our family. We continue to try to process and understand everything that is going on so that we can make the best decisions for Mac moving forward. Right now, the best thing anybody can do for us is to send positive thoughts and love to our sweet little angel and his awesome big brother.